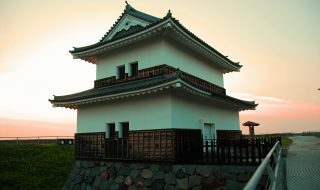 The owner of Ozu Castle (replicated wooden castle tower) changed from Utsunomiya-shi to Takatora Todo, Yasuharu Wakisaka, and then to Yoshiaki Kato. 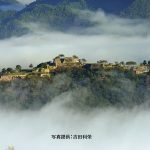 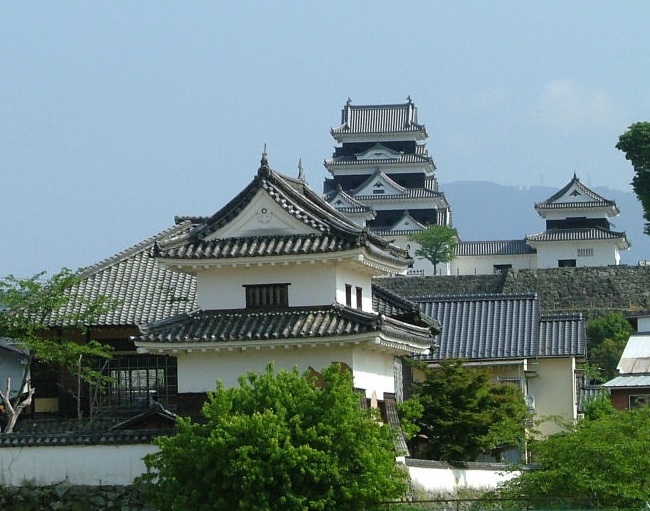 Ozu Castle was based at current Ozu in Ehime prefecture. 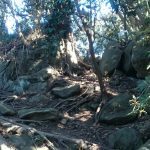 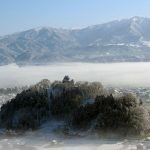 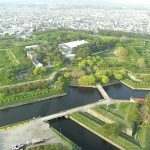 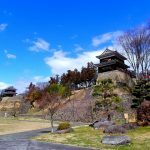 It started when Utsunomiya-shi, the military governor of Iyo, built the castle there. 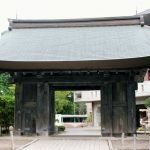 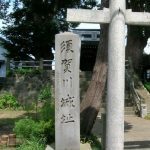 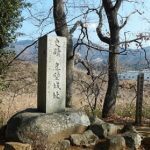 Utsunomiya-shi, who was based at the souther Iyo, was once defeated by Mori-shi who conquered Chugoku region, and after that they were exiled from the land of Ozu after being attacked by Motochika Chosokabe who aimed to achieve the unification of Shikoku. 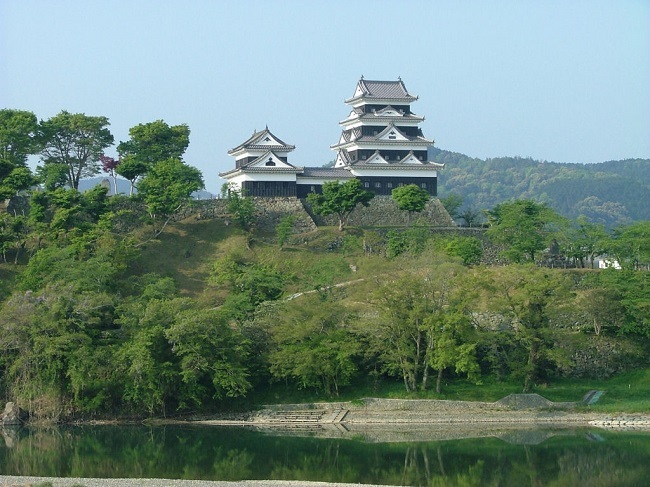 In 1585 when Hideyoshi Toyotomi’s unification of Shikoku began, the Mori family’s vassal, Takakage Kobayakawa destroyed the castle, and Ozu castle became a branch castle of the Kobayakawa family for 35 thousand koku. 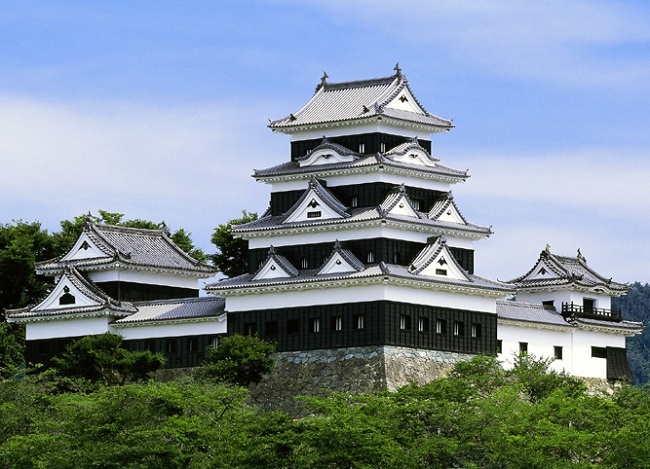 After when Kobayakawa-shi was moved to Kyushu region, Katsushige Toda, Takatora Todo, and Yasuharu Wakisaka ruled the region. 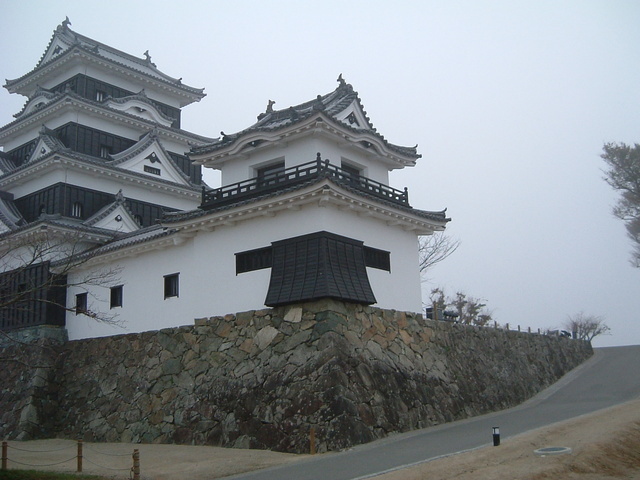 The castle was remodeled and became modern looking when the Todo family and the Wakisaka family were the owner. 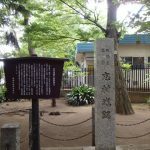 In 1671, Sadaharu kata became the owner and he continued to rule until the Meiji restoration. 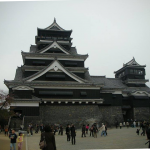 In Meiji period it was destroyed, but the restoration continued and the castle tower was the first wooden 4 tiered 4 story building after the war. 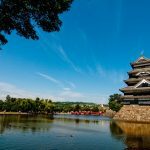 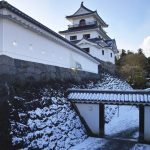 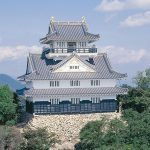 Daidokoro-yagura turret and Koran-yagura turret are registered as Japan’s important cultural property, and it was chosen 82nd in Japan’s 100 famous castles.